Stellar Wanderer ($4.99) by Crescent Moon Games and Dream Builder Studios is a space combat RPG where you can choose your own destiny. 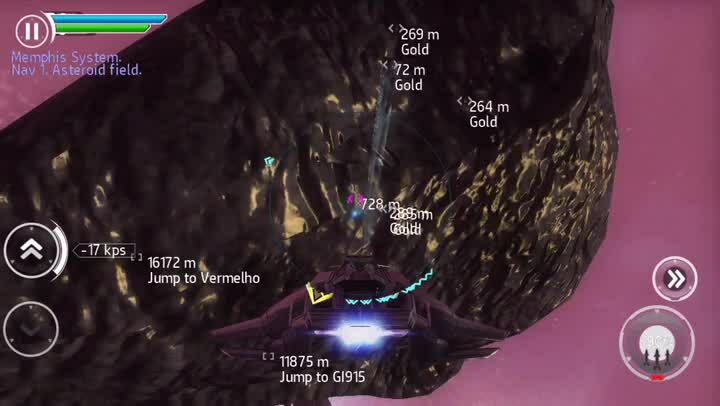 If you loved games like Galaxy on Fire 2 and things like Star Fox in general, then Stellar Wanderer is the game for you. At some point in humanity, we’ll be traveling to and from space like no big deal, having colonies on various planets and space stations scattered about that you can visit at a whim. It’s not happening in my lifetime, but I’m confident it will happen at some point. Until then, though, there are always video games that involve space, ships, and plenty of futuristic laser battles, so that should hold us off for now. 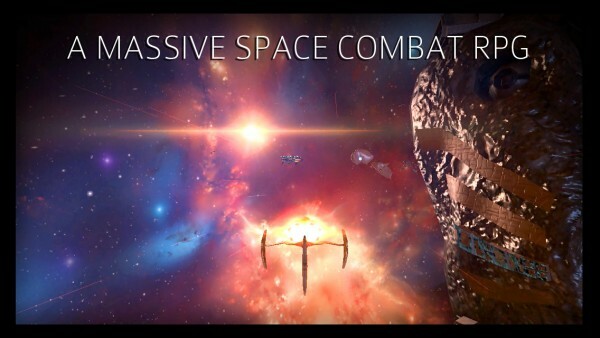 Usually I am not a big space combat game fan, because I’ll admit it — I’m not too great with them. 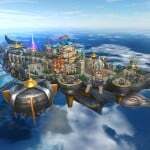 However, since I heard about Stellar Wanderer, I was intrigued by it due to the fact that it was coming from publisher Crescent Moon Games and a development studio called Dream Builder. Plus, I can’t resist anything that looks pretty and shiny — we’re here to have fun, right? The visuals in Stellar Wanderer look great for a mobile game, but I wouldn’t say that they are the best I’ve seen. Still, it’s decent enough and you won’t notice it too much while flying around in an open-world galaxy and shooting up your foes. Space looks beautiful in the game, thanks to the soft colors in the background due to the sun and air, and there are some rather nice looking auroras that are charming. While all of that looks fine and dandy, I was a bit disappointed with how some of the space stations and other objects looked from a distance, as I noticed things could be a bit flat, jagged, and lacking texture, so it wasn’t quite as console-quality like I was expecting. But since the game is mostly about combat, you probably won’t notice too much. Animations are smooth and fluid in the game, and I did not experience any kind of lag on my iPhone 6s Plus. The atmospheric soundtrack is pretty calming, so it should help you focus on the missions that are at stake. 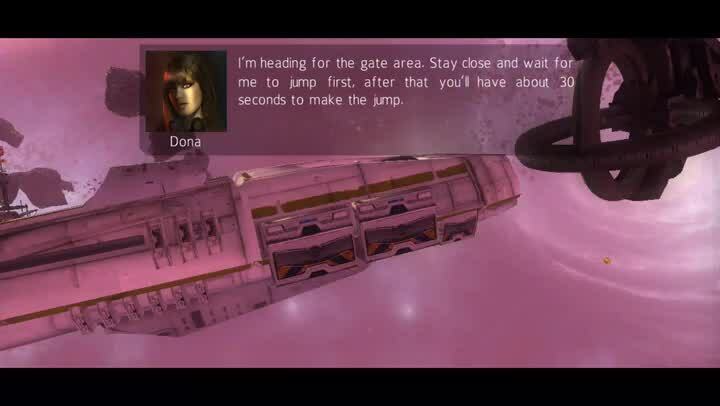 Just as you’d expect, Stellar Wanderer opens up with a cutscene (you can skip if you’d like), and then you’re thrown into the action. Well, if by action you mean just flying around and reaching a gate, then yeah, that’s action-packed. However, as we all know, these types of games require a bit of a tutorial in the beginning to show players the basics, and the game does a good job of this. So even if you are like me and pretty bad at space combat titles, this tutorial will help you out. The controls in the game are pretty simple and straightforward, though it may take some time to get used to if you don’t play these types of games a lot. To steer, you will have to tilt your device in the direction you want to go. There are calibration settings so you can recalibrate at any time if they feel off, and there are options for inverting the x and y-axis if that’s what you prefer. In the bottom left are buttons to accelerate and brake, and buttons for attacking and a special action button above it in the bottom right corner. The action button changes from Time Warp multiplier (speeds up time when you’re not in combat), jump for gates, and docking for hangars. As I said, everything is pretty easy to pick up, but mastering the controls is a different story — time and patience are needed. The crosshair for your weapon is pretty small, though, which I found to be a bit frustrating. You can switch between first and third-person perspective at any time, which is pretty cool. As far as content goes, Stellar Wanderer is jam packed with it. While you uncover the plot, there will be main story missions that you must go through in order to advance, as well as plenty of side missions that you can take on for extra cash and experience. Early on, you will also get to choose the role you want to play as, which gives your pilot unique talents and bonuses. 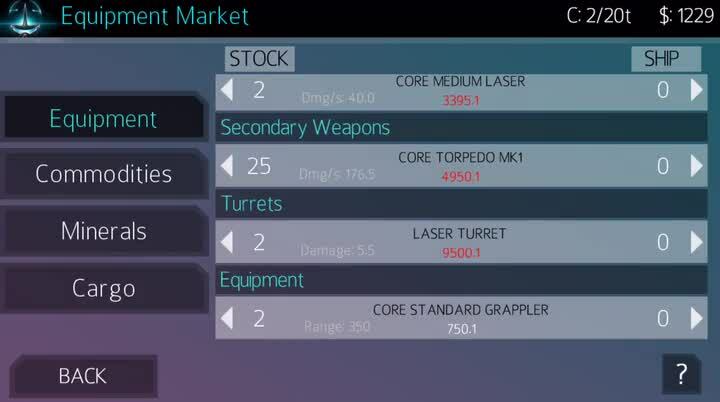 The classes are: Fighter, Trader, Tank, and Engineer. Each one has their own strengths and you should distribute skill points accordingly. Fighter inflicts most damage, Trader is good at negotiating, Tank has plenty of armor to take most of the damage while the rest of the team takes out enemies, and Engineer specializes in creating items that can hurt the enemy or help your team. As you successfully complete missions and objectives, you will earn experience points — once your pilot levels up, you get a few skill points that can be distributed across a wide selection of attributes, so you need to allocate them into the best one for your class. Like any other RPG, this process requires a bit of learning and tinkering, and you may even need to start a new character if you mess up, since you can’t switch them once they’re allocated. 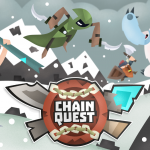 You will also earn money for completed missions, and all of your hard-earned cash can be spent in the Market. 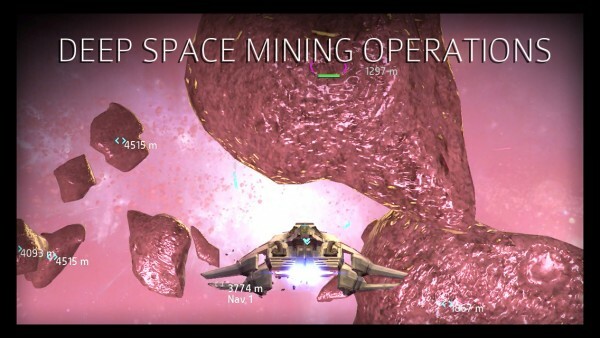 This is where you go for equipment (including weaponry), commodities for your crew, minerals, and cargo. 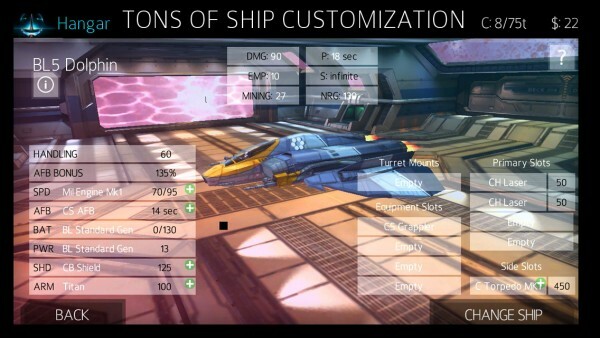 The Hangar is where you want to go to modify your ship or purchase newer and better ones. And since Stellar Wanderer is a vast game, you can access the Map at any time from the main menu to see just where you are in the universe. Typically, I’m not a big fan of these games because I can be terrible at shooting down the enemies and end up getting myself blown up a lot. But Stellar Wanderer is still a good game, despite my lack of professional skills. The game looks nice with the vast universe that it takes place in, though the textures fall a bit short compared to other console-quality games. The music is soothing and reminds me a bit of “Star Wars,” which is not necessarily a bad thing given the theme. The controls are simple enough, though it will take me a lot of practice, but I do wish the laser crosshair was a bit larger and easier to see. Hopefully that is rectified in a future update. And with the game’s large amount of content for players, this is one that will keep you busy for a while. 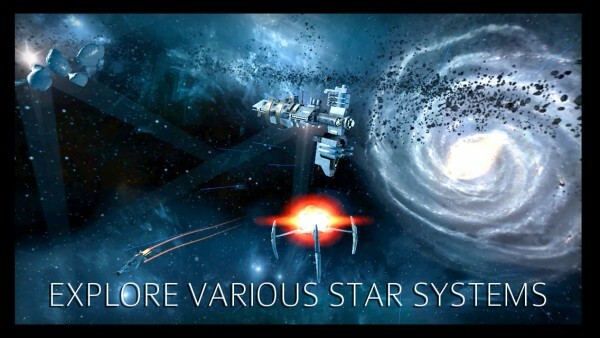 Despite some flaws, Stellar Wanderer is a very solid space combat RPG game that will appeal nicely to fans of the genre. 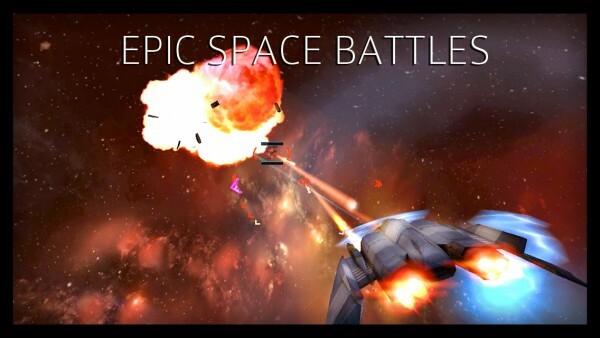 I recommend checking it out this weekend if you want a nice, lengthy space combat game that is full of action. 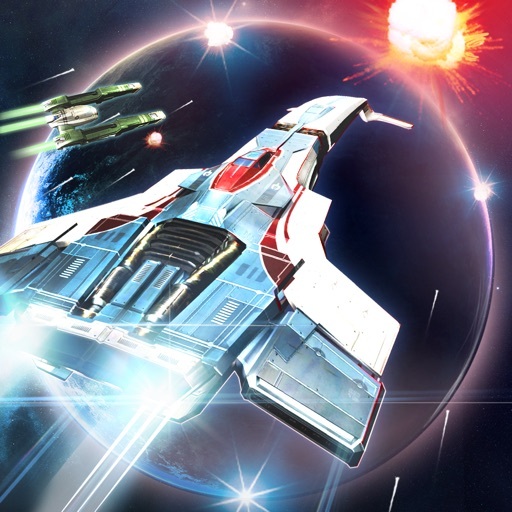 You can get Stellar Wanderer on the App Store as a universal download for $4.99. There are no in-app purchases.